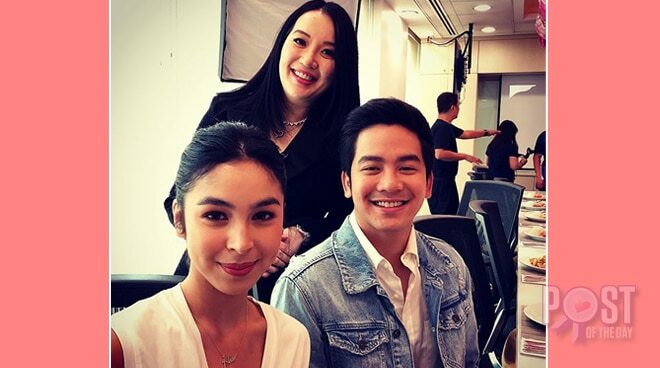 Kris Aquino seems to be enjoying her first day on the set of her new movie with Joshua Garcia and Julia Barretto. She shared this photo of the clapboard from the set, commending Joshua on his niceness and Julia on smiling and bringing in good vibes. Kris also said that they might have a new title for their movie.